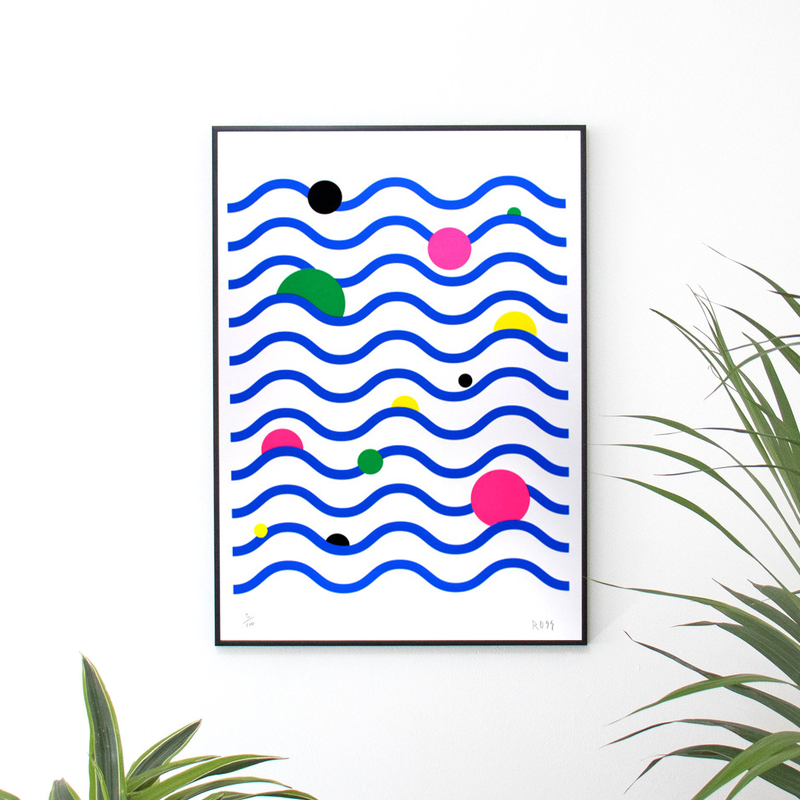 Tropical ‘Green Sky’ edition of 50, screenprinted on 250gsm Southbank Smooth, 500x700mm. Featured in Creative Review ‘Illustration Issue’ and also Its Nice That ‘Things’. Exploring the visual landscapes of planet geometric, let the waves rip as you stare and the sky roll in my Tropical mind space. 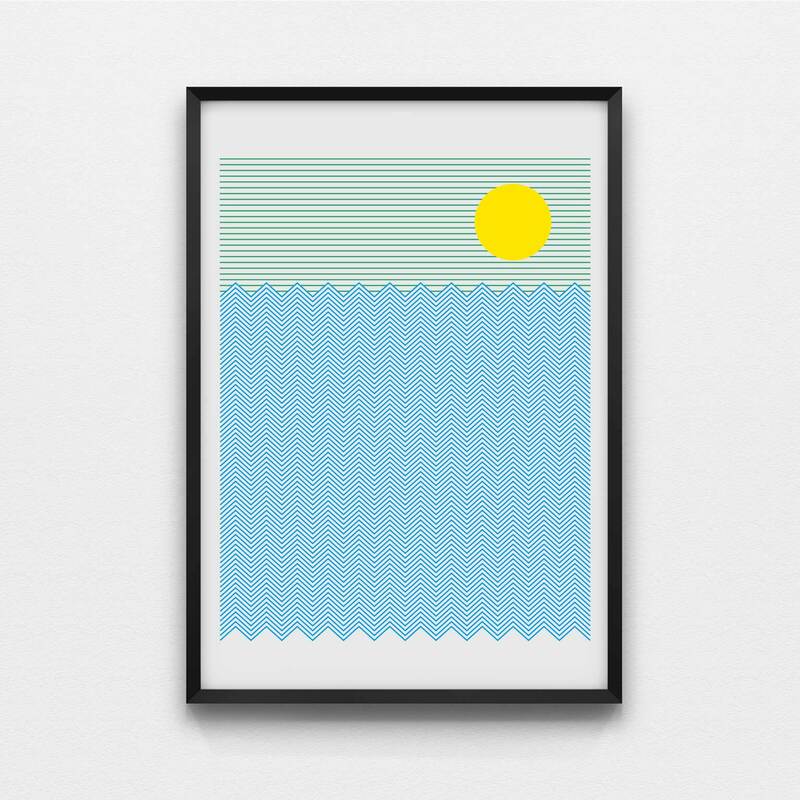 Tropical ‘Green Sky’ screenprinted on 250gsm Southbank Smooth, 500x700mm.